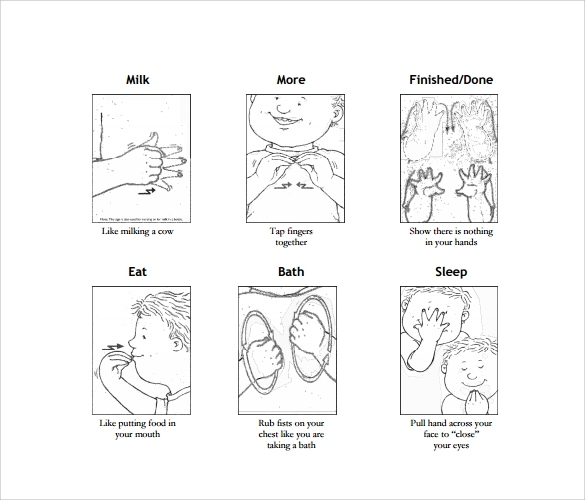 The baby sign language chart helps the parents to learn the basic signs and language needed to be taught to their baby. This chart consists of 6 separate sheets which together make the final Chart Templates. You can either get them fixed on your wall or cupboard; though the wall chart is a more preferable one for they perform the task of reminding you or your baby’s caregiver to implement its use. Generally consisting of 17 Basic signs like mom, dad, cat, dog, grandmother, grandfather, car, dog, water, diaper, milk, ball and more; these Chart Templates can be printed after getting them easily downloaded either in the word or PDF format as per your requirement. This Free Baby Sign Language Chart is a free one with easy understandable signs and symbols which teaches you very carefully and elaborately the different signs how to make your little one understand you. Here is a chart for Baby signs and symbols which lets you understand and know the basic points behind the sign languages to be used for your little learner. You are sure to remember the signs for long with this chart template. This Free Baby Sign Language Chart is a very nice one and apt for a new mom and dad to know and understand the different signs. The inclusion of pictures makes this a standalone from others. 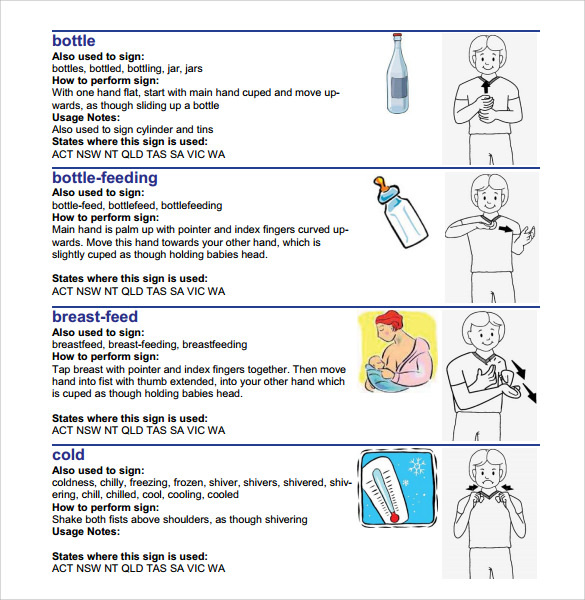 The Sample Baby Sign Language Chart is a simple one with sketched pictures of signs and symbols. Very short and crisp though this sign language chart misses no vital point at all which you would love to share with the little one. When Do We Need a Baby Sing Language Chart Template? A baby does not learn to speak from the very beginning. When he learns to understand and feel he first starts to depend upon signs and symbolic gestures which we have to be very cautious and reactive to in order to make the baby comfortable. You may like Baby Feeding Charts. The Baby signs and symbols are very much effective for the babies to convey their feelings, thoughts, requirements and necessities which they cannot depict in words or languages. A baby sign chart template thus becomes essential to make the kid comfortable and easy going in a natural manner. 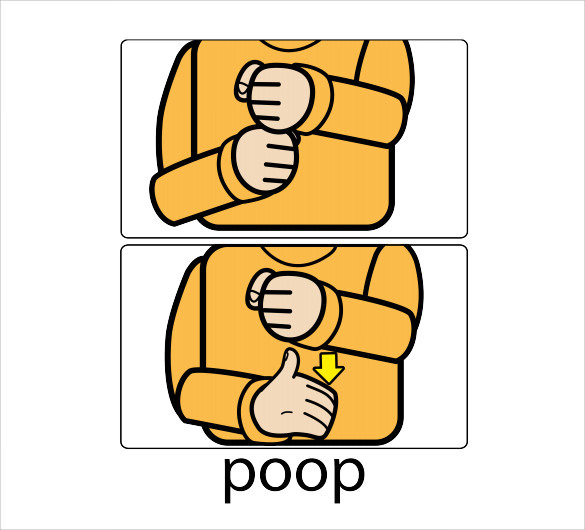 What Are The Tips To Create a baby sign language Chart? Keep on repeating the signs and symbols makes the sign established in the kid’s brain, and then he tries to relate it with his requirements. Never try to overlap signs and create similar signs for several activities which may make the kid puzzled and confused. 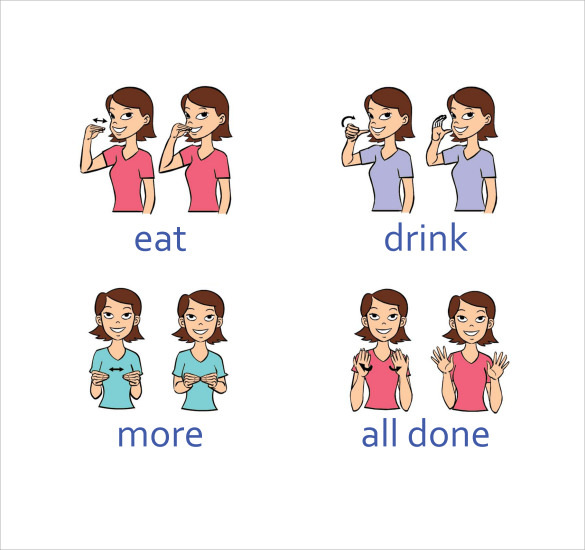 What Are The Benefits of Creating A Baby Sign Language Chart? A baby generally starts talking when he reaches the age of two. But before that age also it’s a long way to cover with number of problems to come up. A baby sign chart helps you to know and understand all such sign languages being used by the kids to tell about their needs, requirements and feelings of pain, pleasure and everything in his day to day living. 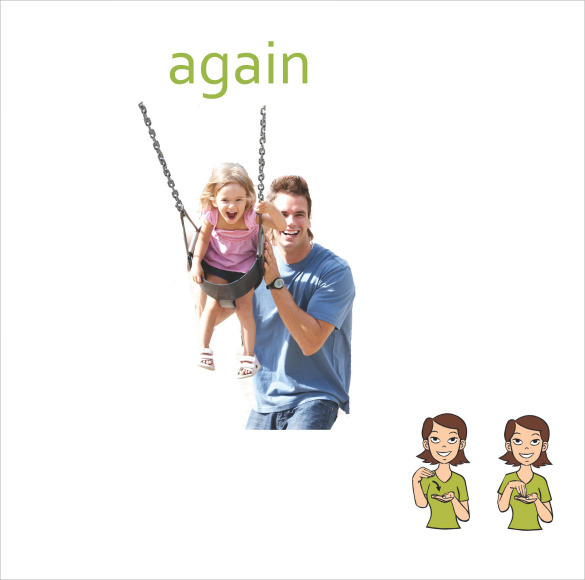 You can easily note the signs from a chart and use them with your kid which they would very quickly pick up and start communicating with you easily in no time. All the baby sign language chart templates available in the collection are well tested on babies and are proven in having good effect on kids who use sign languages mostly to communicate. They are all free and easy to use for new moms and dads who actually remain nervous in handling the kids for the first time ever in their lives.